Jean-Brice Le Gayic joined Alexander Hughes in March 2010. He firstly worked as a Research Associate for the President on Top Executive assignments, acquiring a solid background in Executive Search methodologies. He successfully recruited several executive board members, senior managers, technical experts and also support functions, in various industrial sectors such as Fine chemicals, Automotive, Agro-industry and in the Construction field. After few years’ experience at a top level, he naturally decided to evolve as an Executive Search Consultant for Managers by Alexander Hughes, assisting companies on strategic recruitment matters, such as attracting experienced managers, high-end specialists and high-flyers. 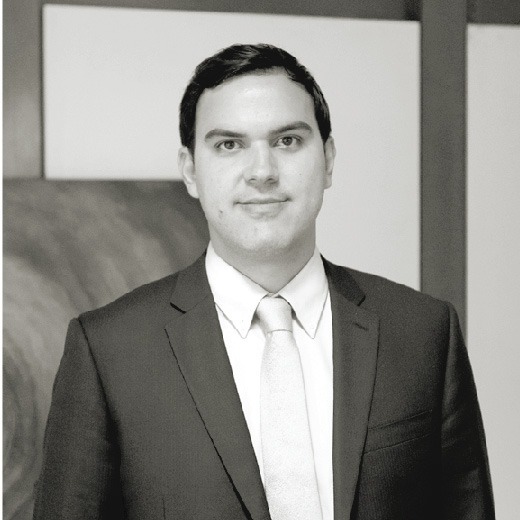 Before joining Alexander Hughes, Jean-Brice was a Research Associate for a prominent generalist consulting firm in Paris, working in the industrial sector, with a particular focus on the Oil & Gas and Construction industries and also on Pharmaceutical and Consumer electronics. Jean-Brice lived almost 3 years in Australia and speaks English and Spanish fluently. Jean-Brice graduated from Swinburne University of Technology, Melbourne with a Master Degree in Human Resource Management and holds a degree in Finance from the University Aix-Marseille 3.